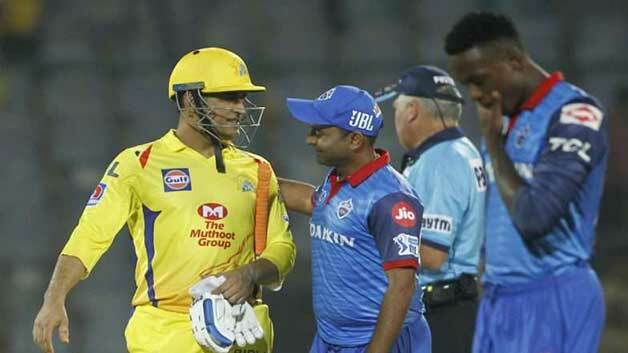 The last match of the Defending Franchise against the Delhi Capitals was all set-up for an early finish when Dhoni walked into bat. With his team requiring 50 runs off 58 deliveries, everyone was expecting to have a pyrotechnics show from the finisher but the match was once again dragged to the last over, leaving the fans and experts in a state of complete dismay. While this has been the trend for MS for quite some time now, the dip in the strike rate of the most experienced finisher of the side causes an escalation in both workload and required run rate for the batsmen following him. MS has been known for taking matches deep, but with the onset of aging, it has been a difficult task for him to convert his thoughts into real-world performances. This is where the so-called “aged side” of CSK has been of great help to the stalwart. The striking power of Watson and others, coupled with the rather slow stroke play of Dhoni, helps the CSK side to cream through run-chases. Many may comment that he was one of the prime players in the Australia ODI series, but the truth is that MS has been gradually shedding the role of the explosive finisher since the 2008 Australia tour, wherein, the Indian team’s line-up was full of stalwarts like Sehwag, Tendulkar, Yuvraj, and Gambhir. The retired players too have expressed their concerns regarding the dip in strike rate of MS, with some of the greats like Ricky Ponting and Gautam Gambhir going on to say straight up that MS’s inability to hit the ball as he did in his hey-days could even cost his side a handful of points as the league progresses. With the top order of CSK doing well for them, scoring a majority of runs for the side, it has been a cakewalk for MS & Co… But the day the top order fails and the time comes for the middle order to hit the ball, it will be a responsibility for MS to take charge and pull off tight chases, and with his performances in the previous edition and the Australia tour, it will be expected that MS will be able to regain the “Midas Touch” he had possessed for such a long time. Next articlePoor Standard of Umpiring in IPL Raises Eyebrows.